HCM CITY (VNS) — Artists from HCM City's Bong Sen Music and Dance troupe will bring traditional music to the city's schools in an attempt to arrest the music's declining popularity among young people. The first show was held on Tuesday at Thai Hung Primary School in HCM City's District 8. The programme organised by Bong Sen along with the municipal Culture, Sports and Tourism Department will be introduced to children at primary schools in Districts 7 and 8, and Tan Phu District, until April 4. Traditional music artists from Bong Sen Troupe will make tours to the schools giving talks and performances. A show at each school will last between 30 and 45 minutes. At Thai Hung School, Bong Sen artists performed traditional music and folk songs of northern, central and southern regions on the Vietnamese zither, monochord and 16-string guitar. "We're fascinated by the performance. We learned about the special and unique characteristics of Viet Nam's traditional music," said a 10-year-old student. "After primary schools, the programme, which will last until the end of this year, will bring traditional music to junior and secondary high schools, "said Dang Hung, Bong Sen Troupe's director. "We'll give lessons on folk songs and various kinds of traditional musical instruments," he said. 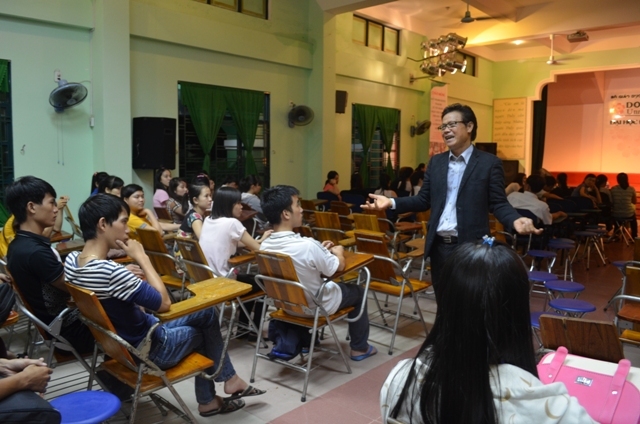 HCM City's Education and Training Department is working the Culture, Sports and Tourism Department on a project to introduce tai tu music to schools in the city, according to Nguyen Van Minh, deputy director of Culture, Sports amd Tourism Department. Tai tu music last month won UNESCO recognition as an intangible world cultural heritage.